You never know where you will be when you need a bearing. 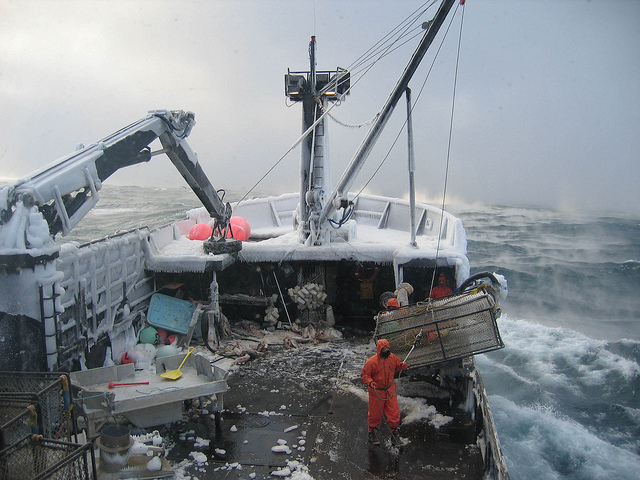 You might be on a salmon fishing ship out at sea in the Bering Strait for example. You didn’t plan for your ship’s rudder bearing to go out, but it did. You can’t really make it back to port if you can’t steer your ship. Going forward farther out to sea is not an option, and you can’t very well backup all the way to port, even if it was in the right direction. So what do you do? Well if you are the ship’s captain you radio a ham radio operator, who takes down all of the size dimensions of the bad bearing unit and all the numbers you can find on the bearing. The ham radio operator then calls INF Bearing to find the bearing. We found the bearing (an RHP – MFC3.1/4) with an overseas supplier and had the bearing delivered via Next Day Air to an Alaskan repair facility, where the bearing was then placed on helicopter and flown out to the ship and delivered. So no matter where you are in the world or what type of bearing you need INF Bearing can help.